John K. Samson, singer-songwriter for the much-loved band The Weakerthans, released his excellent full-length debut record Provincial last month. The record is comprised of re-recorded tracks from two of Samson’s EPs in addition to six newly recorded songs. The underlying current running through Provincial focuses upon a series of highways in Samson’s home province of Manitoba. The songs are hymns for the departed and rockers for the living, resulting in an album that features 12 fierce, vivid and ultimately memorable stories set to song. 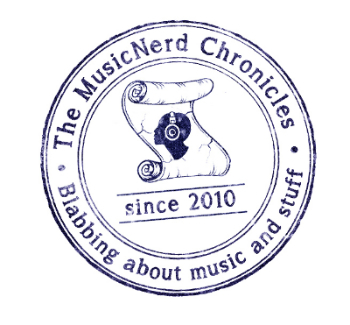 The MusicNerd Chronicles recently had the chance to chat with John about Provincial and what makes Winnipeg musicians so damn hardy. Why the decision to release a full-length effort as opposed to another EP? Samson: Provincial started as a project of three 7-inch singles. Each single contained three songs about specific places in Manitoba. As time went on though, some of these songs had started expanding a little bit and I had begun thinking that it would be nice to open up a new musical pallet. Looking back, it is a project that I feel is probably best served as a full-length. How do you feel your solo work differs from that of your work with The Weakerthans? Samson: I don’t feel that there is really anything exceptionally new about what I am doing with my solo work. It is a pretty straight continuum as far as I am concerned. If anything, it has allowed me to spread myself out a little bit more lyrically. Playing and making music with other people was perhaps the most interesting thing to do after 15 years of playing with same people. Provinicial is made up of the work of almost 20 other musicians so it really isn’t a solo record in some respects at all. Of all musicians that I have spoken to from Winnipeg, there is a fierce sense of loyalty to the province of Manitoba. What do you believe inspires such loyalty? Samson: I think it has a lot to do with a sense of isolation and being marginalized. I have always been interested in the places where I am but Winnipeg just happens to be the place where I spend most of my time. I don’t know if it has as much to do with pride or loyalty as it does living in a geographically isolated area.